Tired of pots boiling over and making a mess? Announcing the end of burned-on spills from boiled over pasta, rice, soups, milk and starchy liquids. 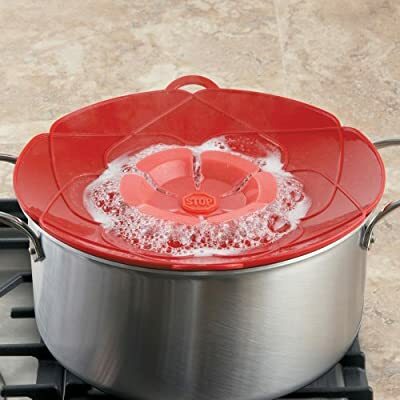 Use the Kuhn Rikon Spill STOPPER and never worry about pots boiling over again. 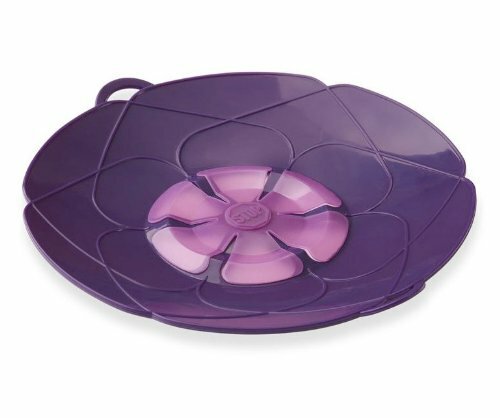 It works as both a lid and a splatter guard. Heavy silicone Spill Stopper traps excess foam and liquid so it doesn't spill all over your stove. Heat resistant to over 400-degrees. Fits Pots 5-1/2 to 9-Inch diameter.